In the wake of Alex Rodriguez walking away from the remaining three years of his 10-year $252 million deal, the Yankees begin the search for his replacement at third base. So far there are about as many rumors as to who it is going to be to replace him in the Bronx as there are about what team Arod will eventually pick; the Marlins?!? There are a couple of viable options out there, but nobody is going to completely replace his 54 homers and 156 RBI’s so not only are the Yankees going to have to upgrade at third, but probably also at first base and maybe upgrade their pitching too. Before the Yankees begin to scour baseball for their next guy to patrol the hot-corner they have started to search from within the organization. It has been rumored since they got him that Betemit could be a possible replacement at third this statement sounds eerily like the one a couple years ago proclaiming Bubba Crosby the everyday centerfielder. So while it is a possibility the bombers don’t make any deals it is unlikely. The Yankees have also pondered moving Robinson Cano to third thinking it may be easier to find another second baseman, but this is a move both the Yankees and Cano himself are not to fond with. "I feel so comfortable at second base that right now I don't want to play third base," Cano told the NY Daily News. "That's something that I don't want to do." Brian Cashman echoed Cano’s words, "I want Robinson Cano at second base." Cashman continued to tell the Star-Ledger, "That's what I want. ... I do know he can play (third base). I don't doubt that." 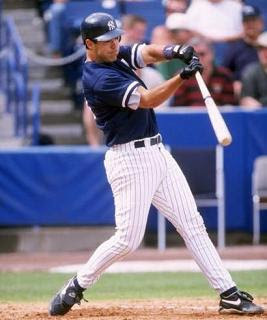 Once the Yankees turn their search outward World Series MVP and brief member of the 1998 championship team, Mike Lowell, will get a good look. Lowell was once a throw in player in the deal that sent Josh Beckett to Boston, but is coming off one of his strongest seasons of his career. Lowell set career highs hitting .324 with 120 RBI’s. Signing Lowell seems like a long-shot as he has become a fan favorite in Boston, but it is known around baseball the Red Sox owner John Henry covets Arod, so there is a possibility of the Yankees and the Sox swapping third basemen remains. A big trade rumor surfacing lately has been involving Marlins third baseman Miguel Cabrera. Cabrera has a lot of upside, he’ll be 25 years old next season and the career .313 hitter is coming off a season with fine numbers yet again hitting .320 with 34 homeruns and 119 RBI’s. He is also a very patient hitter at the plate, however there are concerns about his defense and many people question his commitment to keeping himself in peak physical condition. The Marlins may also be motivated to trade him. He’s likely going to earn $11 million next season through arbitration, and as ridiculous as it seems, the cheap-fish are rumored to be going after both Arod and Barry Bonds so they will need to trim payroll to afford either. Melky Cabrera fans should get ready for a long winter. He is already involved in trade rumors with the Marlins and Miguel Cabrera and will likely be included in just about all rumors. The Yankees would also be expected to give up some of their top-tier pitching prospects in most deals, although they missed out on acquiring Eric Gagne at last years trade deadline after balking at moving any of those pieces. If the team did trade away Cabrera there are a couple of decent center fielders on the market: Andrew Jones, Aaron Rowand, and Torii Hunter. 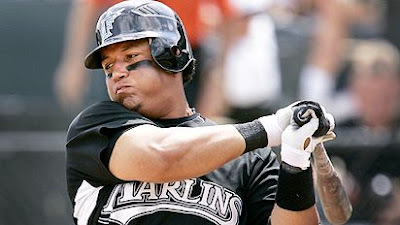 Some other names that will get kicked around as the Yankees search for Arod’s replacement are Adrian Beltre, Hank Blalock, and Joe Crede. At this point all of these names are on the backburner.